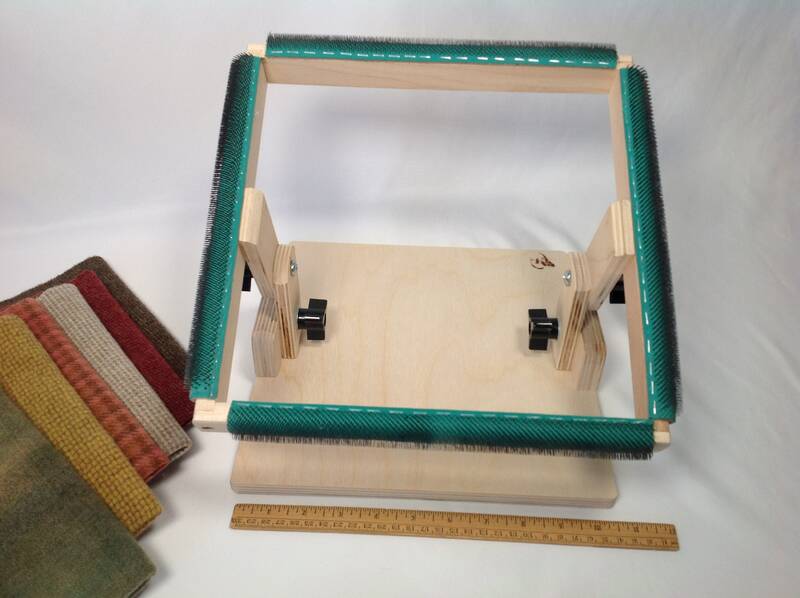 A great small size rug hooking frame or punch needle frame or for any fiber craft where you would love to have gripper strips to keep your work taut on a frame. It is sturdy and well made in the USA. 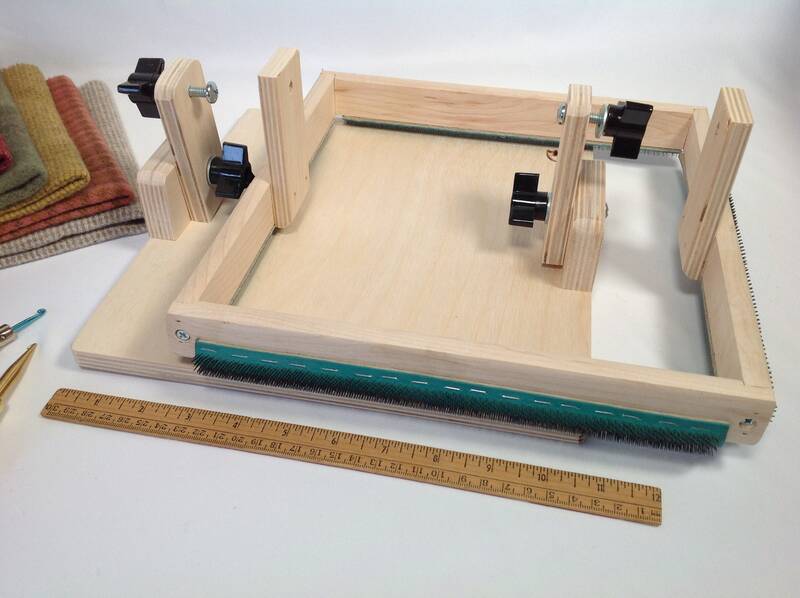 This 10" x 10" lap frame is very stable in your lap or on a table. The top has gripper strips that grip both monks cloth or linens. They are rolled on the edge to ensure maximum holding power. 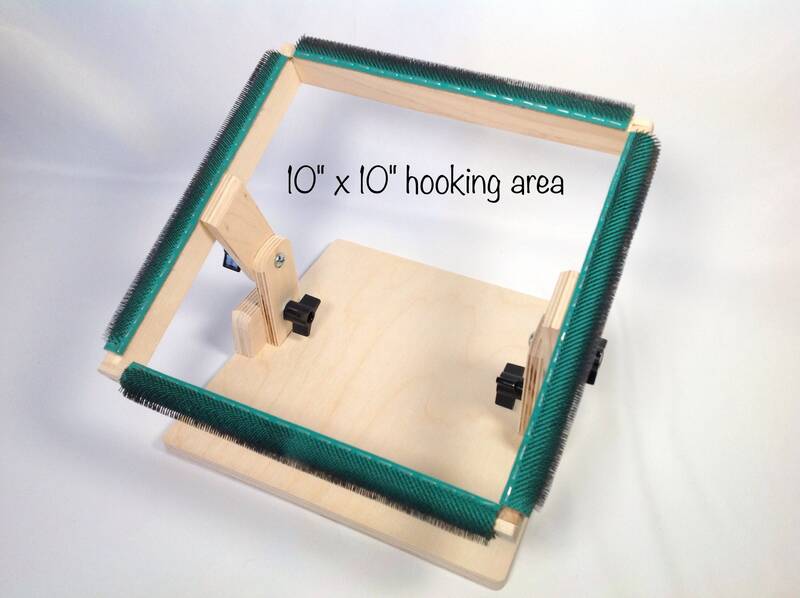 This frame has an 10" x 10" hooking area and tilts to adjust to just the right position for you. 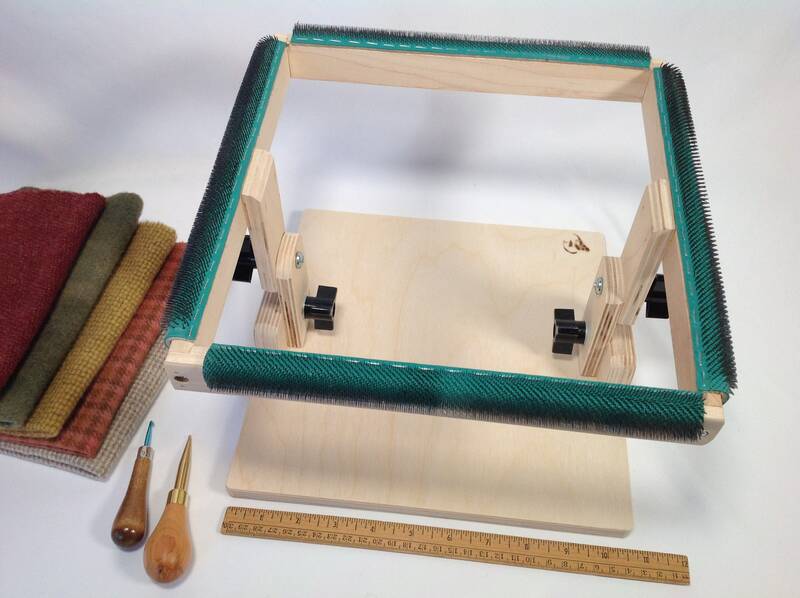 The base is 11" x 11" inches, making it very comfortable to rest on your lap and easily turns in any direction as you are hooking without re-positioning the pattern. When the frame is parallel with the base there is about 7" between the base and the frame. Tightening or loosening the knobs allows you to get just the right position for you. 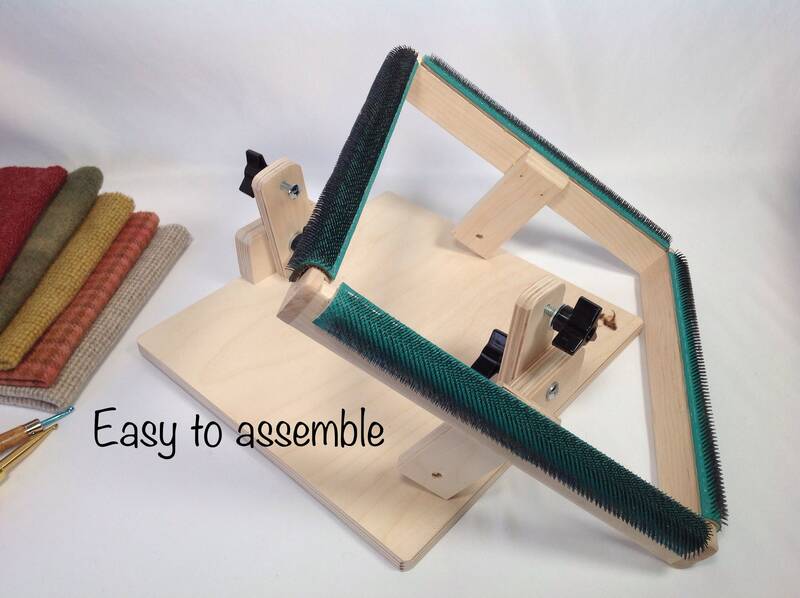 It's easy to assemble and easy to take apart for traveling or storage. See last photos. It will fit in a carry on. It weighs about 3 lbs.